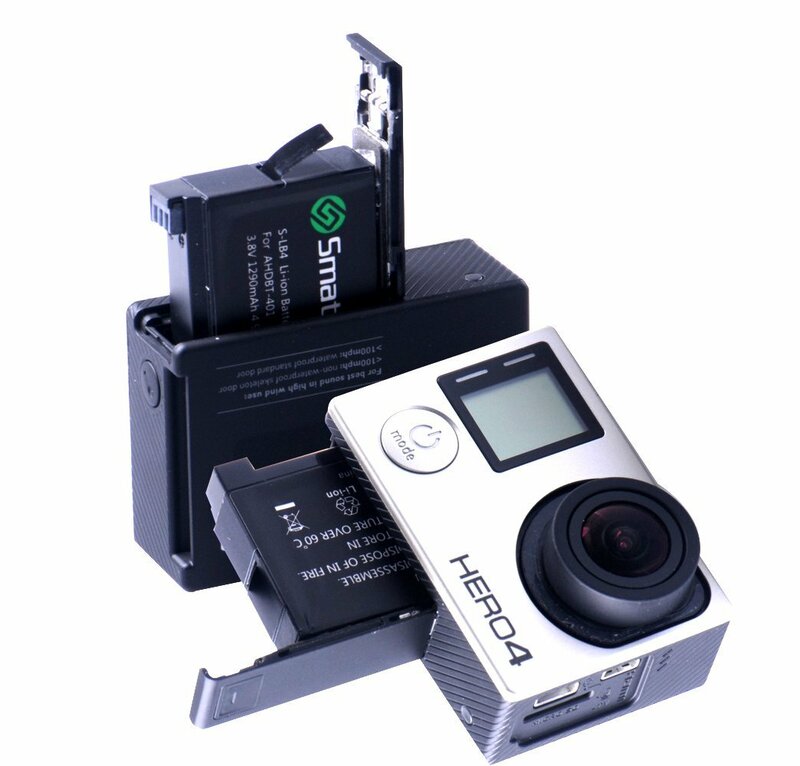 The Smatree GoPro battery is one of the best aftermarket batteries you can find online. Its quality and cheap price makes it a top pick, that’s for sure! With an output power of 1290mAh, these batteries perform better than the OEM GoPro batteries and last a bit longer. They are also much cheaper! Whether you’re looking for a cheaper alternative for your OEM batteries then Smatree would be your best option. Let’s Jump To The Review! Smatree is a Chinese company that manufactures aftermarket batteries and other accessories for various brands like LG, DJI, Apple and GoPro. What makes them a top brand is the quality they offer at a price lower than stock products. Also let’s not forget the different accessories they offer that OEM brands do not have. So Why not choose Smatree? If I can get the same or better performance than the stock batteries for a much cheaper price then I wouldn’t hesitate choosing Smatree. 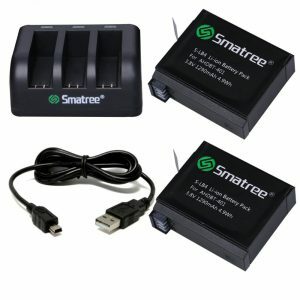 I have been using Smatree batteries for a long time now. I had used them for my GoPro Hero3 and Hero3+ as well as for my DJI Phantom. When I upgraded to Hero4, I immediately bought these batteries since they are at a much lower price than the stock ones. If I can save some money for the same product then why not go for it. Based on my personal experience with Smatree, they have an outstanding customer service and would offer an immediate help in case you raise any question or concern! Smatree offers various batteries for nearly all GoPro models available on the market. From Hero1 to Hero4. I do use Smatree with all my GoPro cameras. Their size is perfect, they fit nicely in the camera unlike some reviews I read online from one user claiming that these batteries are a little bigger than the stock ones, it may be a manufacturing issue and the batteries can be exchanged or returned without any issue. I’ve never encountered this problem myself. I don’t remember how many videos I shot using these batteries but it must be a LOT! The Smatree Batteries are Lithium-ion rechargeable batteries with an output power of 1290mAh which is a little more powerful than the stock batteries. I also noticed that sometimes Smatree lasts a little longer. Recharge times are fast, I usually charge them using the 3-channel Smatree charger. This charger has a USB cable that can be connected to a 5V wall socket or a computer. It has an LED light that flashes in GREEN once you connect the mini USB cable, it stays RED during charging then GREEN when charging is completed. What I also liked about this charger is its compatibility with GoPro batteries, I can charge all my GoPro batteries using the same charger! As I mentioned above, you can get the Smatree at a fraction of the price of GoPro. Knowing that you are buying quality and durability as well. What I did is I bought their bundle which consists of a 3-channel battery charger + 3 batteries at only $22.99, whereas the GoPro only offers a dual charger that comes with 1 battery at a price of $44! They also have 3-channel charger bundles + 2 batteries. This was great for me since I needed something to charge my batteries simultaneously because when I’m traveling, I do charge everything at night then go out with 3-4 batteries that will last me the whole day. Charging one battery at a time is a nightmare. But again it’s a personal choice and it also depends whether or not you need this amount of batteries. The Smatree GoPro battery can be the real deal when it comes to aftermarket batteries. It offers the same if not better quality at a much better price than GoPro. I personally prefer Smatree as it has much value per dollar spent compared to GoPro batteries. Make sure to check the reviews on Amazon for you to know more about Smatree GoPro battery.